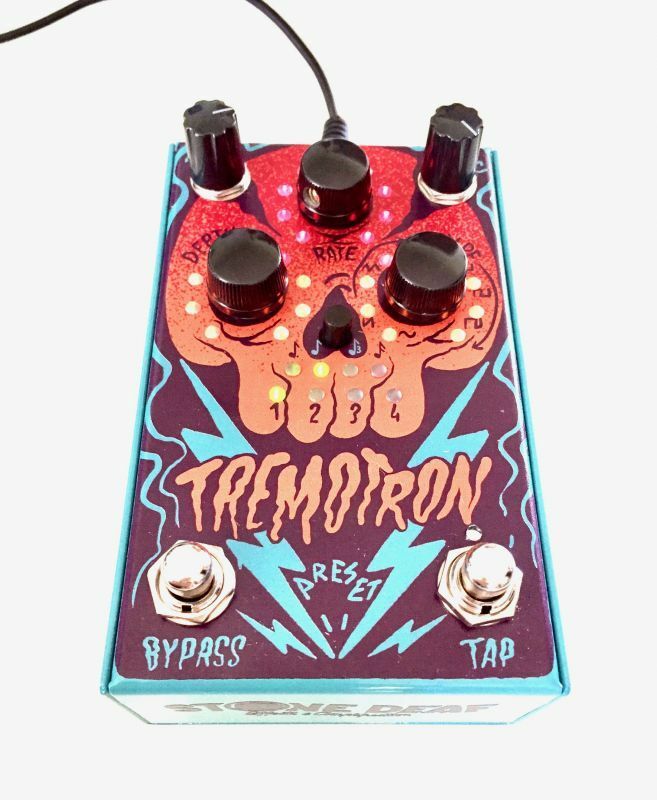 The Tremotron is a "Dual" analogue tremolo that's like nothing you will have ever heard or thought possible in an analogue tremolo and consisits of individual control of Depth, Rate and Wave Shape on each tremolo. 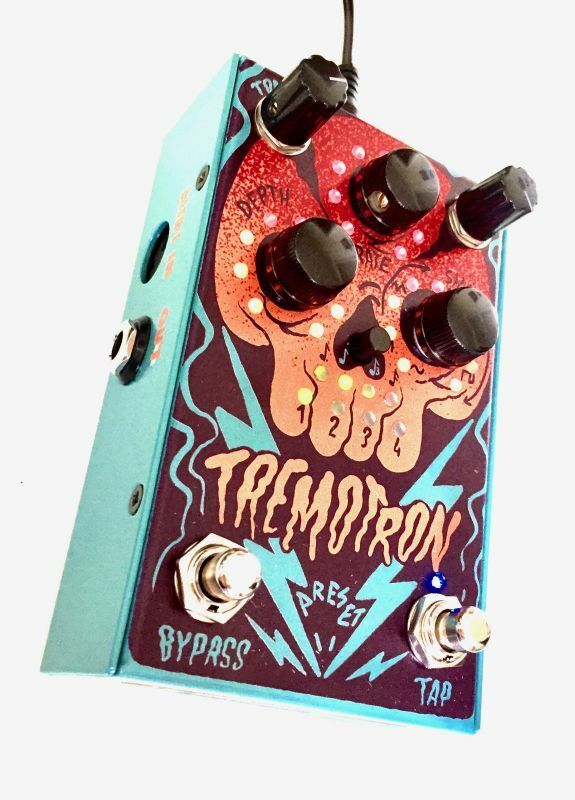 What this means is you can set each tremolo at different speeds and they automatically sync in time with each other using the same syncopations. 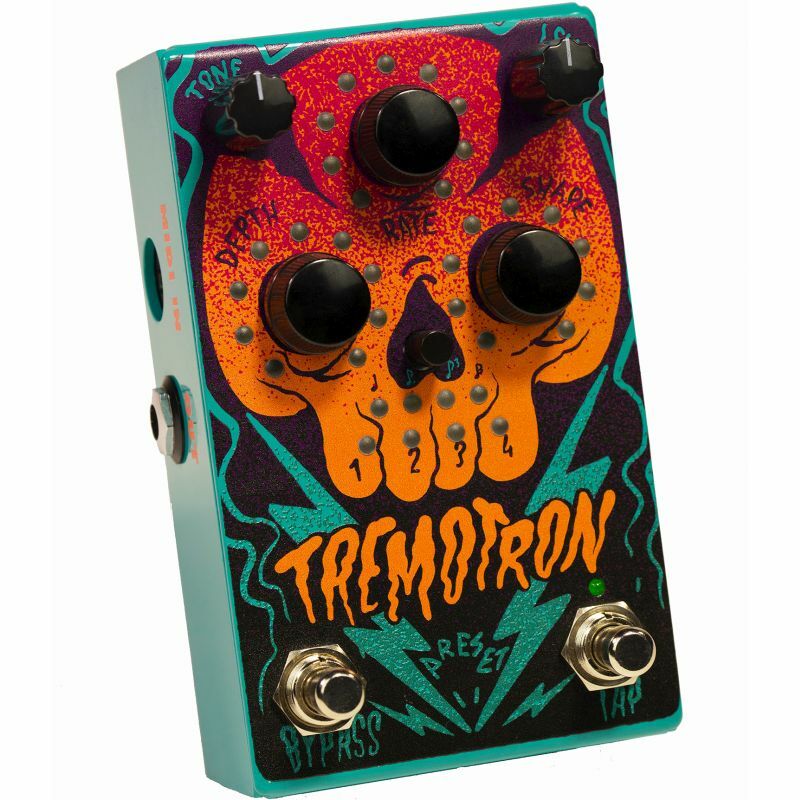 Tone and Volume are master controls for a darker or lighter sounding tremolo. Keyboard, Footswitch. An expression input allows you control via expression Depth, Rate and Shape of each tremolo, independently or separately. 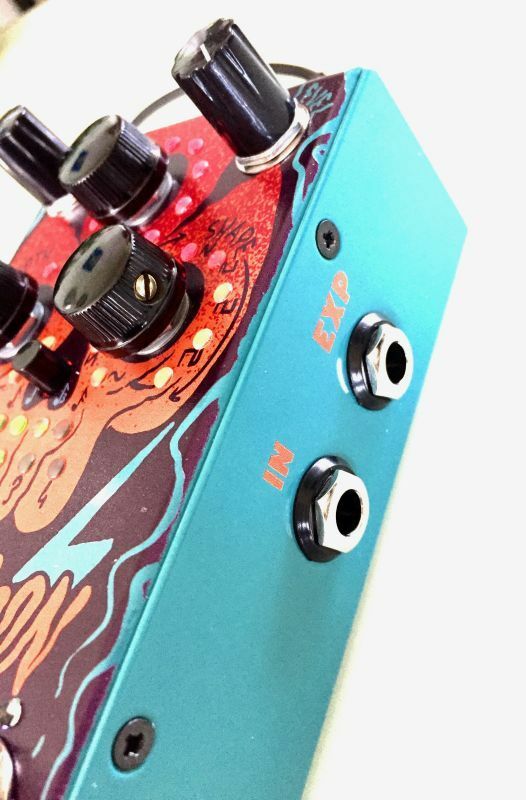 Meaning you can control one tremolo via expression why the other is fixed or both at the same time or individually. 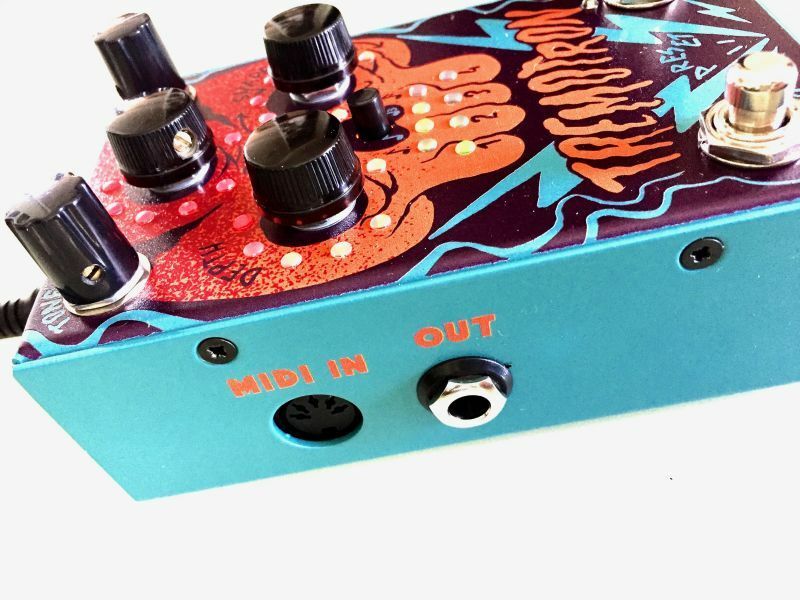 Premium soft touch switches with relay switching and 5 pin MIDI input provide a professional solution to the control of the pedal with the ability to cycle through the inbuilt presets via pressing both footswitches. Only the best components with premium ARM chips, Wima Caps, Audio grade potentiometers and custom encoders allow for a robust and professional device that will take analogue tremolo tones to places never before heard. These are proudly manufactured by Stone Deaf in our factory based in Huddersfield, West Yorkshire, England. 4 on pedal user pre-sets and 128 MIDI recallable presets Allows you to save on board the pedal and recall up to 128 MIDI controlled presets using any standard MIDI controller. 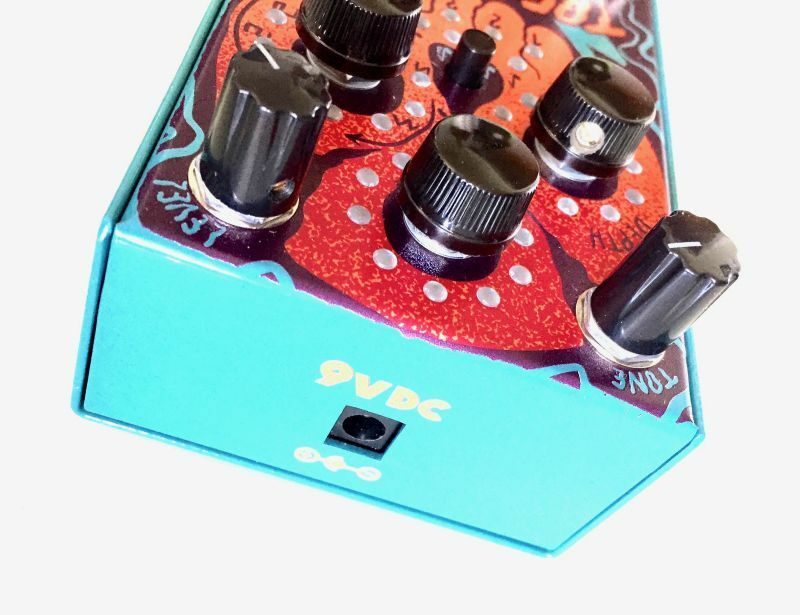 (accurately sets the tempo of the pedal as well as Waveform syncing every time you tap. This means the waveform is always in time with the beat of a drummer or in sync with a delay, whether on or off the beat. Wave Shape Modulation - By Pressing each of the wave shape rotary encoders, you can add another ‘layer’ of volume modulation into the signal. 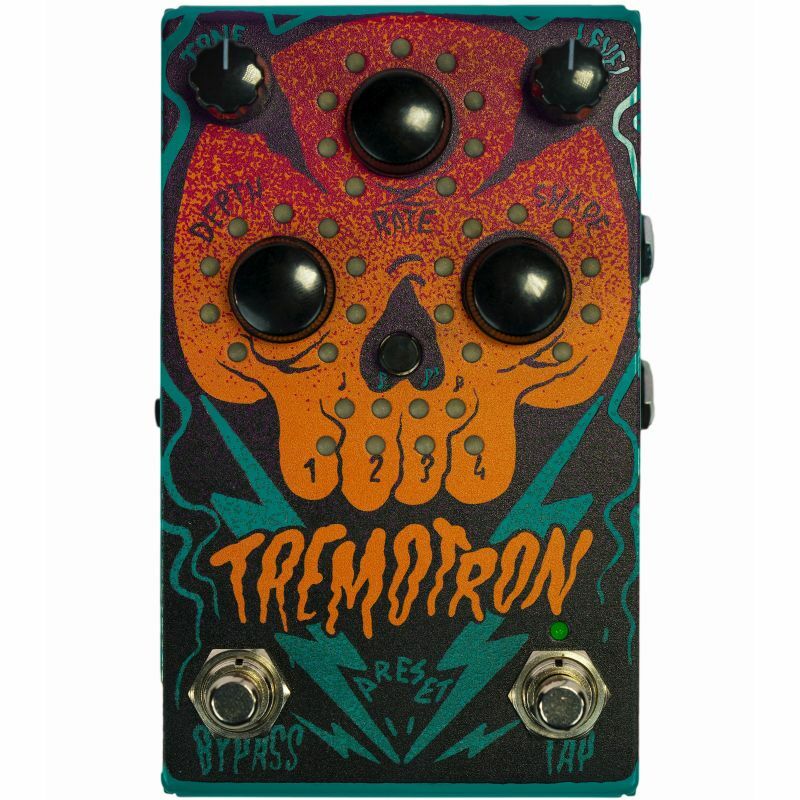 The Current Draw of the Tremotron is about 200mA. It works off a 2.1mm centre negative (Boss Style) adaptor.